In line with our mission statement, the Croc Bank believes that successful conservation is built on sound scientific research and the two actions are tightly knit. To this end, the Croc Bank has joined forces with many of the world’s foremost experts and organizations in an effort to better achieve these immense tasks. At the core of our ambitious operation is a dedicated Scientific Committee made up of Indian and international experts. Over the last forty years, the Madras Crocodile Bank Trust has built four globally renowned Research Centres, some in India's most diverse yet vulnerable habitats - the Centre of Herpetology in Chennai, the Andaman & Nicobar Environmental Team (ANET) in South Andaman Island, the Agumbe Rainforest Research Station (ARRS) in the Western Ghats of Southern India, and the Gharial Conservation Alliance (GCA) in the Chambal River in Northern India. 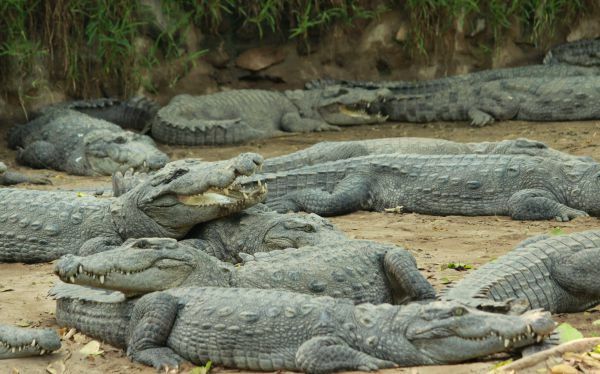 Efforts by a group of international experts to save the critically endangered Gharial resulted in the formation of the GCA with its base station in the Chambal River.